Because 50,000 children in Hawai'i need legal care to be healthy. MLPC Celebrates Five Years of Partnership with KKV! 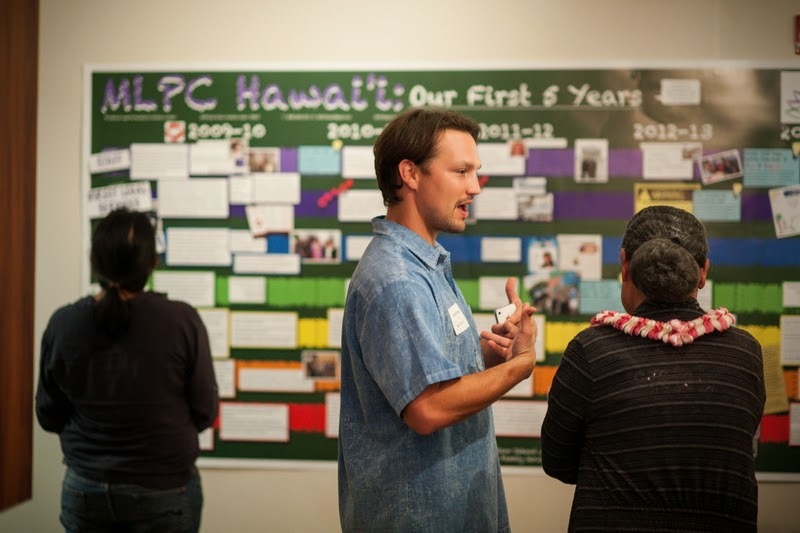 Thank you to everyone for joining us at the MLPC Hawai'i Five Year Anniversary Celebration! We were honored to celebrate our amazing partnership with Kokua Kalihi Valley Comprehensive Family Services, who embraced us as part of the KKV family since the very beginning. Thank you also to all our wonderful UH Law students, MLPC Alums, supporters, mentors and friends who joined us to celebrate! 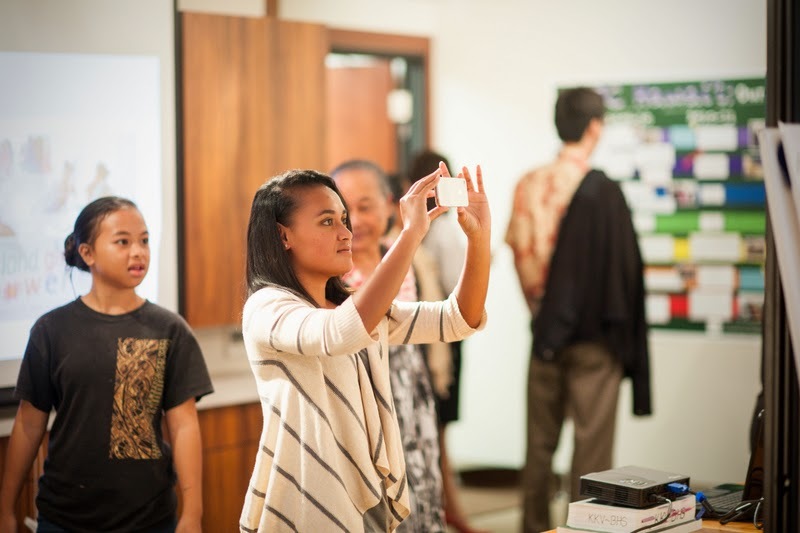 MLPC Hawaii receives "2014 Outstanding MLP Award"! Advisory Council members Brooke Heymach and Ed Paul. On April 10-11, 2014, the Medical-Legal Partnership for Children in Hawai'i team attended the 9th Annual Medical-Legal Partnership Summit in Seattle, Washington alongside over 300 participants from across the country. During the conference, the National Center for Medical-Legal Partnership presented MLPC Hawai'i with the "2014 Outstanding MLP Award." We were one of two sites selected among the MLP network of over 230 sites in 34 states. The award was presented to the MLPC Hawai'i team of Dina Shek (Legal Director), Alicia Turlington (Medical Director), Randy Compton (Staff Attorney) and U'i Goods (Law Fellow). In her remarks, Director Dina Shek said, "our MLP team sees our role as neighbors, as part of the community, then we're not just professionals reaching across disciplines, we're professionals reaching through the trappings of professionalism to work hand-in-hand, side-by-side, with our patients, clients, children -- our community. Because none of us would be in this room today if we didn't believe that communities we serve are vibrant, full of promise and hope, talented, and often are their own best advocates and carry their own best solutions." Thank you! We are so honored to receive this award. 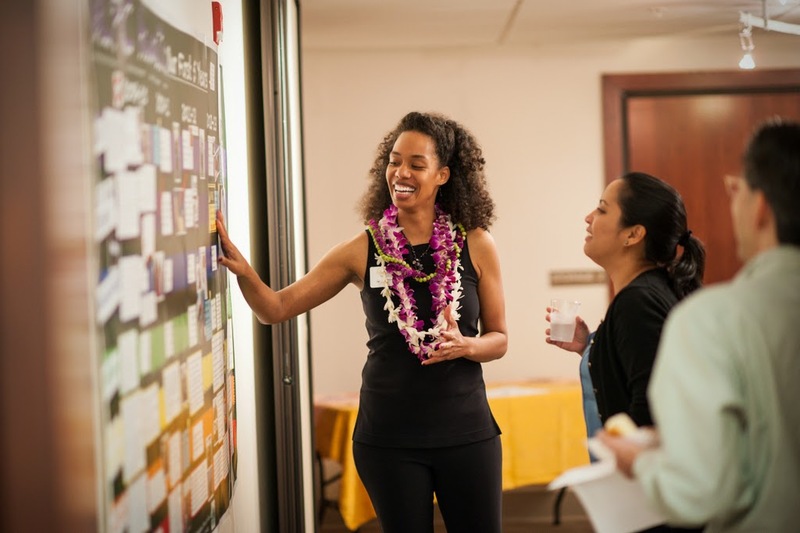 My name is Dina Shek and I'm the Legal Director of MLPC Hawai'i, a partnership between the William S. Richardson School of Law at the University of Hawai'i and Kokua Kalihi Valley Comprehensive Family Services, a community health center. First, a little correction: The program says that we started in 2006, but it was actually April 2009 (this exact week!) when, after about a year of planning, Chris Derauf, our first Medical Champion, said "Just come shadow me," and our Legal Advocacy Clinic started. So this week is our five year anniversary! In 2009 Alicia Turlington was a pediatric resident and today she is our Medical Director. Joining us is the rest of our team: Randy Compton (who started as an intern as a 1L and is now our full-time Staff Attorney) and U'i Goods (recent graduate of our law school and our newest Law Fellow). As part of turning five, our team engaged in three days of strategic planning (or more accurately, a "visioning process"), and two of our vision elements were to (1) Tell Our Story and (2) Shift the Narrative. So I'd like to share a story and show how it fits our narrative to illustrated what an "integrated approach to health" means to us. First, a story. Within the first few weeks of starting our MLP, I saw Chris (our pediatrician) meeting with a mom and her young son after Peds Clinic had ended. (The Medical Assistants were gone, the doctors were doing charts, clinic was over.) It turns out, the child had problems in school and was at risk of being suspended. I asked Chris, "Why did she come to you? You're the pediatrician?" This did not seem unusual to him, and he had to stop and think about it. And then i saw it. KKV health center was the one place where this Mom felt heard and respected. A place of trust, and a place where her language and culture were honored and not treated as a barrier. A place where her child's pediatrician embraced his role in health and wellness, not just his role as a medical provider. I knew at that moment that I was in the right place, with the right partners. Our partnership makes sense because of our shared vision and shared values. And this shared vision is embodied in the KKV health center motto: Neighbors being neighborly to neighbors. It's that simple. If you ask anyone connected to the health center--doctors, lawyers, staff, students, and even some patients--they can tell you the motto: Neighbors being neighborly to neighbors. Because when you see yourself as a neighbor--as a part of your community--then it makes sense for the doctor to talk about education and housing and legal care; and it makes sense for the lawyer to talk about family health and wellness. And, it makes sense that the doctors and lawyers work to support patients/clients, as they lead policy efforts affecting their own communities. In fact it would be weird not to! And when your patient is your neighbor--your client is your neighbor--then you shed your white coats and your lawyerly trappings of formality, and you work together as partners. Because that's what communities do. I would be remiss as a community organizer--and as a neighbor--if I didn't make this ASK: Please keep your eyes on a Ninth Circuit case called Korab v. Fink. "Hawaii's economy has slowed. The state must decrease spending. The health benefits you are receiving from the Dept. of Human Services will end on Aug 31, 2009." The recipients of these letters were no ordinary immigrants. They came primarily from the Federated States of Micronesia and the Republic of the Marshall Islands, nations in the Pacific who have a special agreement with the U.S. called the Compact of Free Association. Residents from these nations are allowed to freely travel/migrate to the U.S. to live, work, attend school--and in exchange, the U.S. has exclusive military control over the entire region. You may recognize the Marshall Islands (maybe heard of the Bikini Atoll?) as the site of U.S. nuclear testing in the 50s, where the U.S. has detonated 67 massive bombs, the equivalent of 1.6 Hiroshima bombs every day for 12 years. And because of the 1996 Welfare Reform Act anti-immigrant restrictions, these migrants from Micronesia and Marshall Islands were designated "non-qualified aliens" and not eligible for federal Medicaid benefits. Just last week (on April 1), the Ninth Circuit in a 2-1 decision ruled in favor of the state's economic justification to cut these members of our community from receiving state-funded Medicaid benefits. So, please keep an eye on this important case! Since 2009, our MLP has worked alongside the affected communities, often being the "translators" between the litigators and the community. 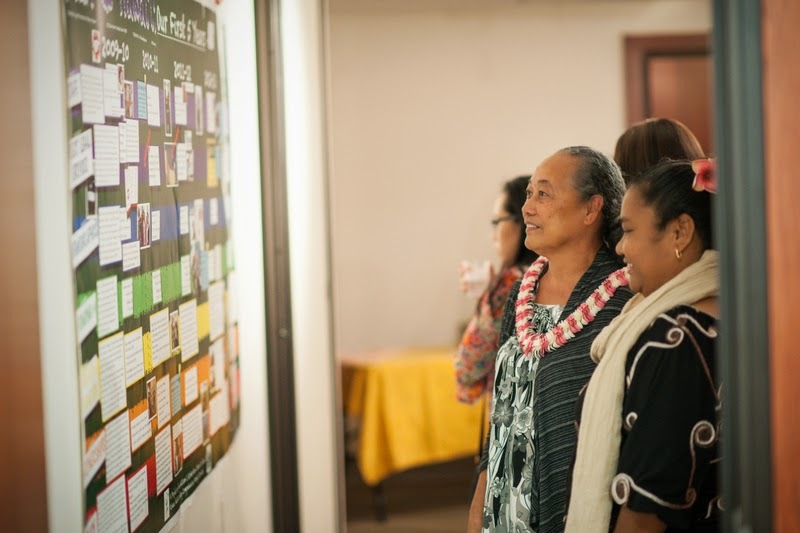 We also work hard to uplift the efforts of the Micronesian community members themselves because, who better to drive the policy solutions and efforts than those affected by these cuts? Again, when our MLP team sees our role as neighbors, as part of the community, then we're not just professionals reaching across disciplines, we're professionals reaching through the trappings of our professions to work hand-in-hand, side-by-side, with our patients, clients, children--our community. Because none of us would be in this room today if we didn't believe that the communities we serve are vibrant, full of promise and hope, talented, and often are their own best advocates and carry their own best solutions. Thank you so much to this MLP Network that has been so neighborly to us! We've had so much support from the National Center. And when I was just planning and dreaming about starting an MLP, the N. California MLPs in Marin County, Oakland, and Santa Clara, all invited me to visit, shadow, and talk story, and they shared their resources with me. 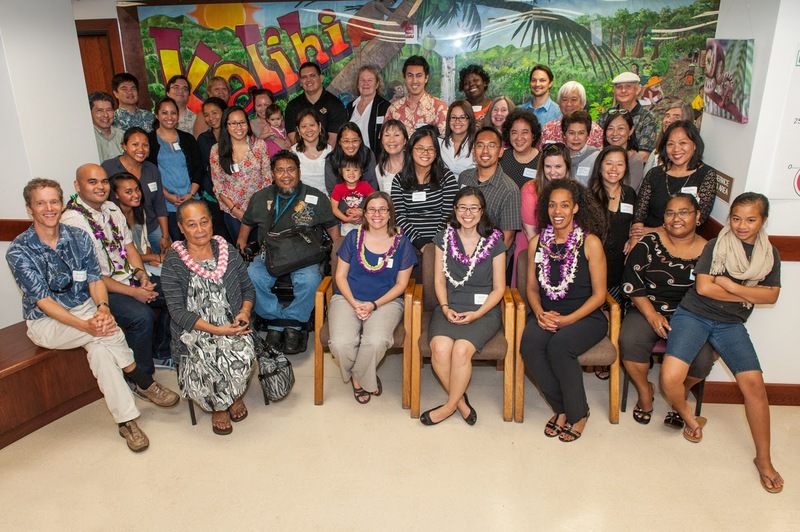 On behalf of MLPC Hawai'i, we're so grateful to be part of this incredible MLP community. Thank you! !